Nico Rosberg took his third consecutive Monaco Grand Prix victory after his Mercedes AMG PETRONAS team-mate Lewis Hamilton lost the lead after taking a second pit stop during a safety car period. The safety car had been deployed when Max Verstappen appeared to misjudge an overtaking manoeuvre on the Lotus of Romain Grosjean with sixteen laps remaining heading into Saint Devote, with the Scuderia Toro Rosso driver crashing into the tyre barrier and into retirement. Hamilton took to the pit lane for a second time, but was beaten to the timing line by both Rosberg and Sebastian Vettel, and despite constant pressure until the chequered flag, the Briton could not find a way passed the Scuderia Ferrari driver, while Rosberg drove away to win by 4.486s. Up until his pit stop, Hamilton appeared to have the race in his pocket, but the incident between Verstappen and Grosjean changed the complexion of the race and the order of the podium. Daniil Kvyat took a career-best fourth for Infiniti Red Bull Racing, taking the place back from team-mate Daniel Ricciardo on the final lap after the team requested they switch places after the Australian passed the Russian on track. Ricciardo had been a man on a mission after the safety car, passing Kimi Raikkonen heading into Mirabeau after giving the Finnish driver a tap, and then passing Kvyat into the Nouvelle Chicane. Sergio Perez took seventh for the Sahara Force India team behind Raikkonen, while Jenson Button finally took the revived McLaren-Honda partnership’s first points of the season in eighth. Felipe Nasr scored two points for the Sauber F1 Team in ninth, while Carlos Sainz Jr salvaged a point for Scuderia Toro Rosso in tenth after starting the race from the pit lane. 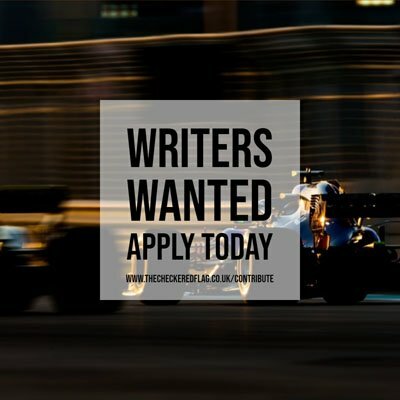 Nico Hulkenberg was just outside the points in eleventh in the second of the Force India’s after being put into the barrier at Mirabeau on the opening lap by Fernando Alonso that saw the second McLaren driver handed a five second penalty. Unfortunately for Alonso, he was unable to take the penalty as he pulled off the circuit early in the race to retire. Grosjean finished twelfth for the Lotus F1 Team, surviving the clash with Verstappen, but losing the tenth place he was holding due to running into the run off zone, but he did finish ahead of the second Sauber of Marcus Ericsson and the Williams Martini Racing duo of Valtteri Bottas and Felipe Massa who endured a frustrating afternoon to top off a very under-whelming weekend. Massa was forced to pit at the end of the first lap to replace his front wing, meaning the Brazilian driver ended the race a lap down on the rest of the field. Both Manor F1 Team drivers continued their 100% finishing record in 2015, with Roberto Merhi getting the better of Will Stevens for the first time. As well as Verstappen and Alonso, Pastor Maldonado was an unfortunate early retiree, ending his race in the pits on the fifth lap with a braking issue in the second Lotus. Rosberg’s win, his second of the season following on from his victory in Spain two weeks ago, coupled with Hamilton’s third place, means the Briton’s lead in the championship has been reduced to just ten points.